I am so very excited to be sharing a new recipe with you all. I have spent the last two months backpacking around India and been inspired in so many new ways. However this recipe is based on something I was dreaming on after weeks of curry, rice and chai tea so it has no resemblance of Indian flavours! These are the perfect after dinner treat with a cup of camomile tea. I will soon update you all with a selection of healthy Indian recipes, some inspired by a cooking class and others from the infamous street stalls. The truffles hide a dirty green filling bursting with antioxidants. 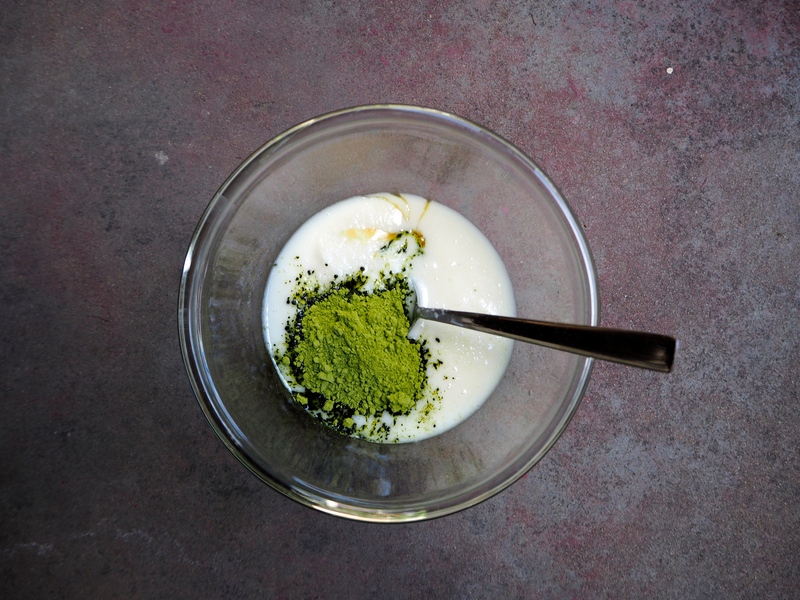 Matcha green tea powder is one of the highest sources of antioxidants, so you can eat these choccies without a guilty filling, knowing that the cacao and matcha will be fighting all those free radicals floating around your body! 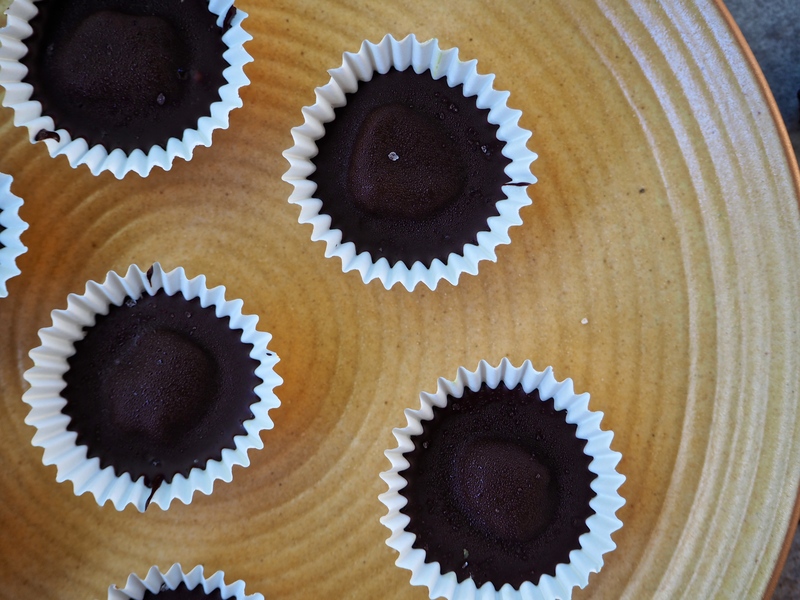 To make the raw chocolate combine all the ingredients in a bowl over a bowl of hot water. Stir until smooth. 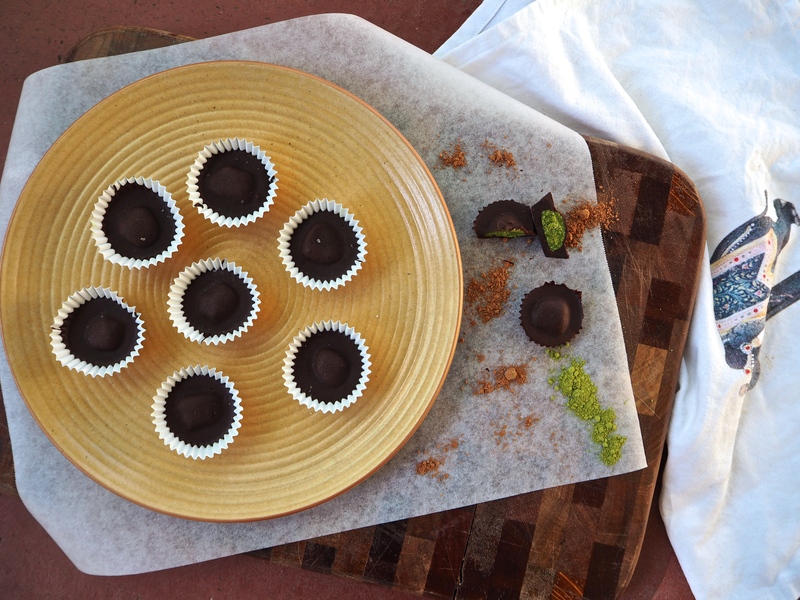 Place a spoonful of the chocolate into mini patty pan cases. Freeze for 5 minutes. Meanwhile mix together the filling ingredients. Once the chocolate is set roll small balls of the filling and place in the centre of the chocolate. Top with 2 teaspoonfuls of the chocolate, repeat until all truffles are complete. Lastly sprinkle on a little Himalayan pink salt. Place back in the freezer for 15 minutes before eating. These will store for a couple of weeks if kept in the freezer. wait… you backpacked through india?